At OUR Center, we are constantly looking for new ways to get the people who need our help through the door of our facility. We have found in the past that no matter how much we attempt to get information out about our programs, word of mouth only can go so far. Not to mention, many people feel uncomfortable walking into an unfamiliar place and asking for assistance. With that in mind, we have created an event that will allow all those who are interested in the help that OUR Center offers to congregate, learn more and ask any questions they may have. So what is this event we’re so excited about? OUR Center prides itself on being an open book when it comes to everything we want to offer to those living in the Longmont area. In order to show that we are here, ready and willing to assist those in need, we have put together our Coffee For A Cause event. On Wednesday, October 4th, we will be offering a complimentary breakfast to those who wish to attend and get a better understanding of the services we offer. Anyone who want to make Longmont a better place to live for all those who live in it are welcome. Let’s talk about some of the things you can learn at the Coffee For A Cause Event. Please RSVP by October 2 to 303-772-5529 x224 or elaine@ourcenter.org. We love our hospitality care program and you will too once you discover what it entails. We have a community market with the freshest produce and plenty of grocery store favorites that allow for our clients to shop for next to nothing. Additionally, we have a community closet where they can find clothes for all seasons. We also offer family services that have proven to be extremely beneficial to those who use them. Whether it’s the child care we provide or budget counseling classes, you can bet that families all over Longmont will benefit from the services we offer. Everyone needs support from time to time so we pride ourselves on being able to be that support for those people who don’t have what they need both emotionally and physically. When it comes to the support network that we offer we pride ourselves on offering the best in mental health services, substance abuse guidance, family law resources and more. We are all continually growing and trying to become a better version of ourselves. With that in mind, OUR Center offers plenty of resources to help those who may be a bit lost to do just that. You can learn all about our personal development programs at Coffee For A Cause when you RSVP. From life skills classes to nutrition education, there is much growth and independence that is gained from these courses by all those who are enrolled in them. 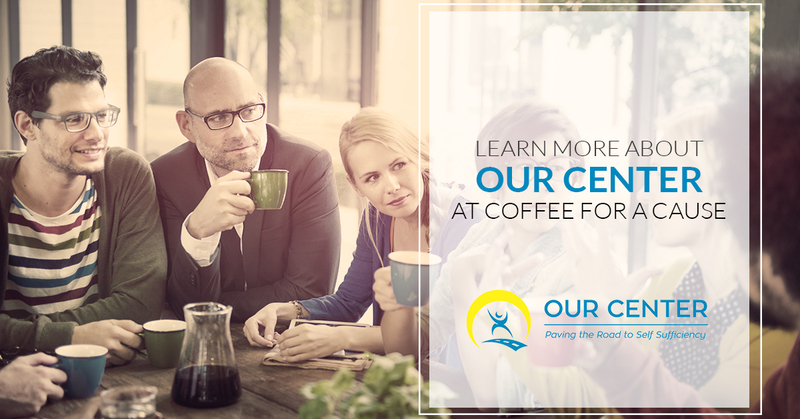 If you would like to attend our Coffee For A Cause event, make sure to RSVP ahead of time by emailing elaine@ourcenter.org or by calling 303-772-5529 x224 by Monday, Oct. 2. Additionally, if you are a local coffee house and you would like to support our cause by donating coffee, we would love to have your help! Contact us today and let us know who you are and how you would like to help. We look forward to seeing you at 7:45am on October 4!